How crazy-cool would it be to legally drive full-throttle down a long stretch of desert highway with nothing to stop you except the limitations of your vehicle? You can find out for yourself twice year. For the past 22 years, every May and September, the State of Nevada closes down 90 miles of Route 318, and drivers from around the world converge on the little town of Ely, located in the central high desert of Nevada. They come to this little piece of motorsport paradise to experience the adrenaline-rush first-hand. 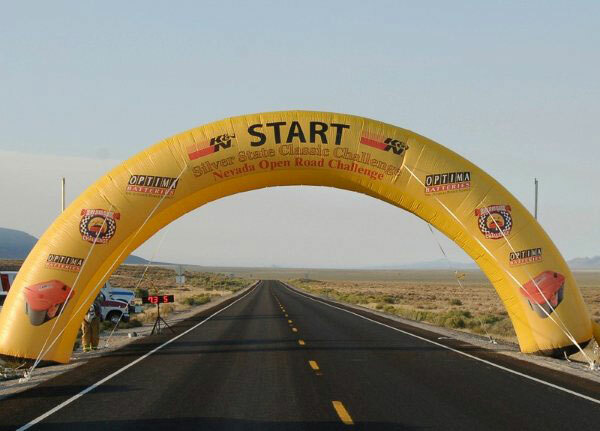 To differentiate between the two events, the May event is actually called the Nevada Open Road Challenge, and the September event is the Silver State Classic Challenge. "This is a 90 mile rally (cars start at one minute intervals) on a fenced and closed public highway that is open to anyone with a car," says Steve Waldman, one of the original founders of the event. The idea of the rally is to average as close to your chosen target speed as possible. The speed classes start at 95 mph and increase in 5 mph increments to the 150 class. There is also a 160, 170, 180 and Unlimited class. "We have participants from all over the world and many have been in various auto magazines in Japan, United Kingdom, Israel, Australia, and the United States, to name a few. We have been on numerous televised shows such as Hard Copy, Discovery Channel, ESPN, National Geographic, Stacy David GearZ-TV, etc," adds Waldman. "I entered the 150 mph class, and because of the safety equipment that is in my car, I am technically inspected to 165mph. We did run most of the run at 165 mph too. It took my navigator, Felipe Arguelle, and I approximately 36 minutes. For this event I drove a 1997 Dodge Viper GTS." Waldman and Arguella finished this year's event in 14th place. Their average speed was 149.9038, running in one of the most competitive of all classes. All results are posted on their website along with Radar Trap speeds for each vehicle. 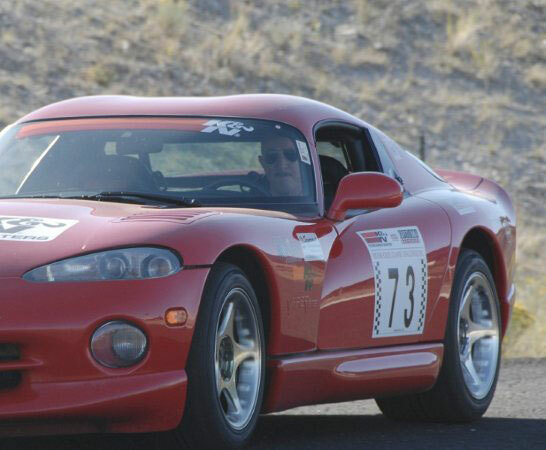 The SSCC has two Guinness World Records to its credit, one is for the fastest speed on a Public Highway (which was an average speed of 207.78mph) and the other record is for Fastest Road Race. This is a very serious event and the Tech Inspections are completely thorough. If you do not comply with the safety guidelines in the Rule Book - you do not run. The Rookies are required to attend the Mario Andretti Racing School in Las Vegas on the race weekend in order to qualify. On their way to Ely, Nevada, the events Rookie coordinator actually takes them up course on Hwy. 318 and gives them pointers along the way. When rookies first register, they are sent a DVD that provides a visual run-through of the course, in addition to some initial instructions to study before ever even attending the event. "We have had participants show up at the start-line, only to discover they've locked their keys in the car. Actor John Schneider, on his first run, actually ran out of gas driving in the General Lee and he had to wait until the event was officially over before being rescued. We have had an 80-year-old participant who broke his ribs while working on his car in Vegas, only to get to Ely in time for the drivers meeting and run the next day. This is a very compelling and thoroughly electrifying event." "I use a K&N Air Filter system (Part #57-1508) and Oil Filters (Part #HP-2004) - I presently own 5 vehicles and use only K&N products in all of them, whether they are raced or not," volunteers Waldman. "I have entered this event since its inception, first driving in a Pantera, then in a Toyota Twin Turbo Supra, and now in the Viper. And yes, I do plan on continuing to run in this event for as long as possible."